Dream a little dream. Caleb’s view of life with a cure. Day 7 of Diabetes Blog Week. Dream a little dream – life after a cure. What do you think life would be like if a cure was discovered and you no longer had diabetes? I would feel like I wouldn’t have to do anything like check my sugar. I would feel like I was free from diabetes. I would be happy. I think I would be bored sometimes because of all the things I wouldn’t have to do. Like I would feel like I was forgetting something if I didn’t do anything before I ate. I think I might feel like I was vibrating where DexCom usually is because I would remember that. My fingers and toes wouldn’t look like they had holes in them. I would have a celebration with a bunch of meters around a table for decoration and then make a cake with a meter on it that says “100” and under that “Cure for D”. We could also make a piñata in the shape of a pricker and make a big over-sized hand to beat it with. Since the pricker is normally poking the hand, the hand will have a chance to win. Day 1 – A day in the life of…diabetes. Day 6 – Diabetes Snapshots. And what would fall from the pinata? Used test strips? Or all the candy a kid could possibly want? Caleb cracks me up! I love his answers today (and all week). I always plan ahead like that ! I am expecting that day for the cure! But if they do find the cure they should move National Diabetes Day to the day they found a cure! 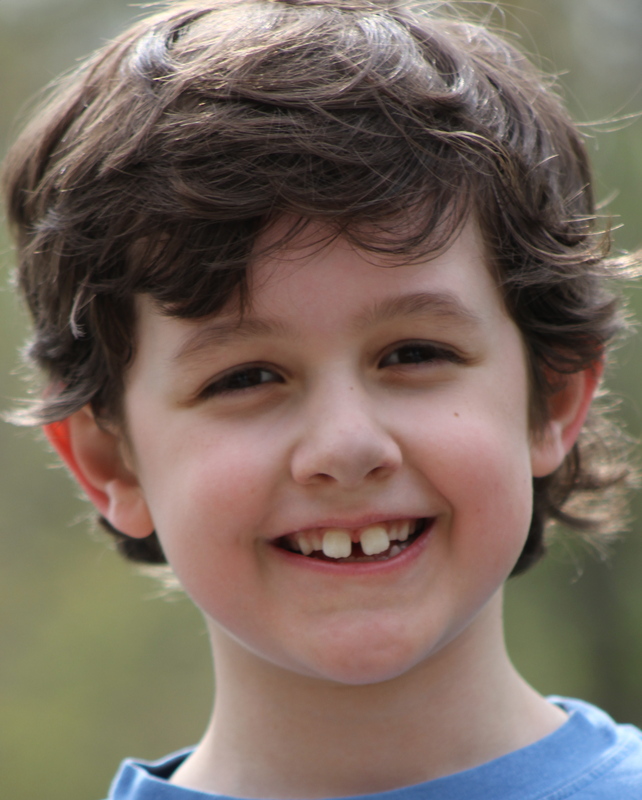 Caleb is fantastic and is a hero in my eyes he may not see it but he is a awesome child!!!!!!!!!!!!!!!!!!!!! My favorite part of today is the way he described feeling Dexcom. Amazing that a child thinks of something like that!!!!! OMG, how funny is he? A pricker pinata with a giant hand to hit it! He had me laughing at the hand beating the finger pricker. I love him. I LOVE the lancet piñata being beaten with a giant hand idea! I agree.. something would seem “missing”. It’s so hard to think of what life would be like without D because it’s so wrapped up in our lives now. Lorraine and Caleb – it has been delightful to share this week with you two. I have thoroughly enjoyed reading all of Caleb’s responses. I too wonder what I would do with all of my free time if I were not busy counting carbs, checking bg, weighing, measuring and do all the D things that I do???!!!?!?!?! I do believe that Caleb will see a cure. And now, you have the party plan all ready to go!!! Caleb, I loved reading all seven of your posts this week – thank you so much for doing Diabetes Blog Week with me!! wow. so clever. i don’t see why that piñata has to wait for a cure. that sounds like a great party any day. ah, the mind of a child…. What cool ideas. Go hand! Thank you so much for the kind words in your comments on my blog. Caleb is adorable and you seem like such a wonderful mom, what a blessing it is for diabetic kids to have mothers like you! Please let me know if there is ever anything I can do for you as I am so passionate about young diabetics and their families! Stay strong! I hope that someday, that dream of Life After a Cure will become a reality for Caleb. He is why we do what we do, so that dream can be realized for him and all the other kids. I admire his mind.He is talented now the best thing to do is to involve him in Community service where he can talk to his peer.Not only about the disease but also how to cope with it,instead of deft language where an elder want to put things in children mind. Previous PostPrevious Diabetes Snapshots. Of Caleb and more.